Happy Friday!! This time I have played with some of the hues from Essie Summer 2015 Collection. I just love this collection, it’s so perfect for summer. I used dry brush technique to create some sort of gradient between all of the colours. 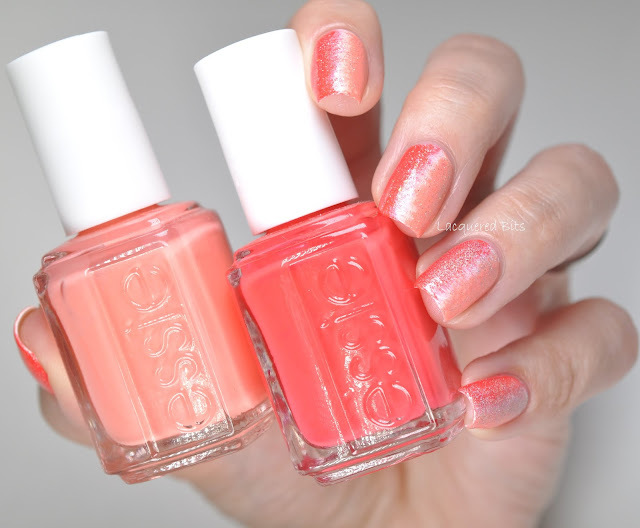 Firstly I applied Essie – Private Weekend in two coats as my base for this gradient. Then I used a fan brush and applied Essie – Sunset Sneaks on one side of each nail. I applied it from the side of the nail to the middle of the nail bed. 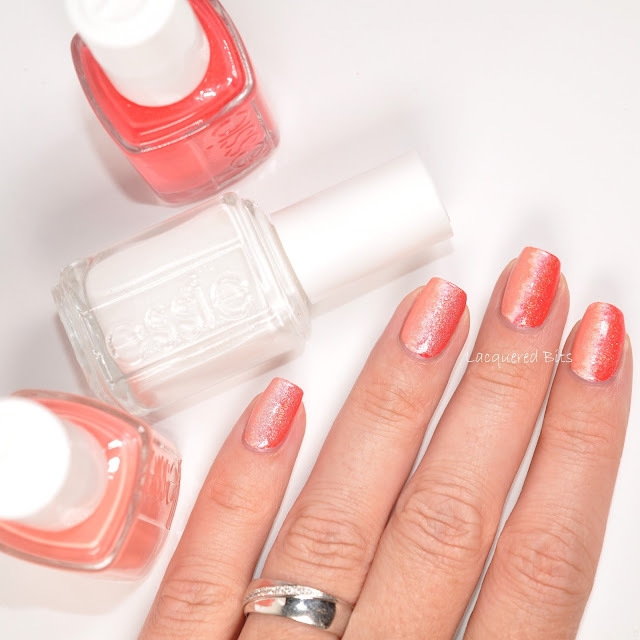 Then I applied Essie – Peach Side Babe from the other side of the nail to the middle of the nail bed, creating a dry brush strokes in the middle of the nail, that still left some white colour popping out. And then to finish off this look I added two different holo top polishes. You can see the difference in this macro shot. The upper finger is covered in Picture Polish – Holiday and the lower one is covered in Il Etait Un Vernis – Juggling Glass Balls. I couldn’t decide which one work better, so I did them both :). What do you think? Do you like it? I think it is perfect for summer, it feels so fresh and sunset-y (if that is even a word :)). I really like this! I've never tried using a fan brush for nail art before! Thank you Glamorous Nails23. You should try it sometime, it's really easy.